It’s a fast-moving, cyber-linked, overcommunicated world out there these days. Change seems to happen much more rapidly and with far less predictability. It’s no wonder the store shelves are crammed with books for beleaguered managers who are desperately trying to navigate through this torrent of change. This one is different from the rest. 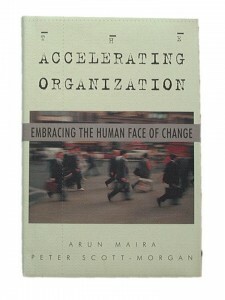 Here is a book that shows you how to turn your organization into one that continually meets the challenges of change, in a business world strewn with the survivors of yesterday’s fads. Accessible and practical, this whole new approach to managing in an ever-changing world provides you with the knowledge and tools to ensure that your organization is flexible, nimble, and ready to handle whatever might come next … be it a minor tremor or a seismic shift.